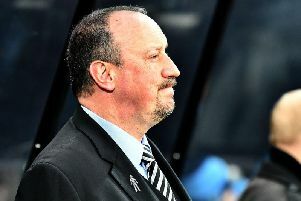 The Premier League continues to dominate the headlines, and today presents an interesting line on a former Newcastle United manager. Sam Allardyce, who was sacked by the Magpies after just six months in January 2008, has spoken of being in "turmoil" after losing his job as England boss. Newcastle United's DeAndre Yedlin scores his side's first goal of the game during the Premier League match at the Etihad Stadium, Manchester. The line comes from Talksport with Allardyce managing just one national team game before being relieved of his duties in September 2016.